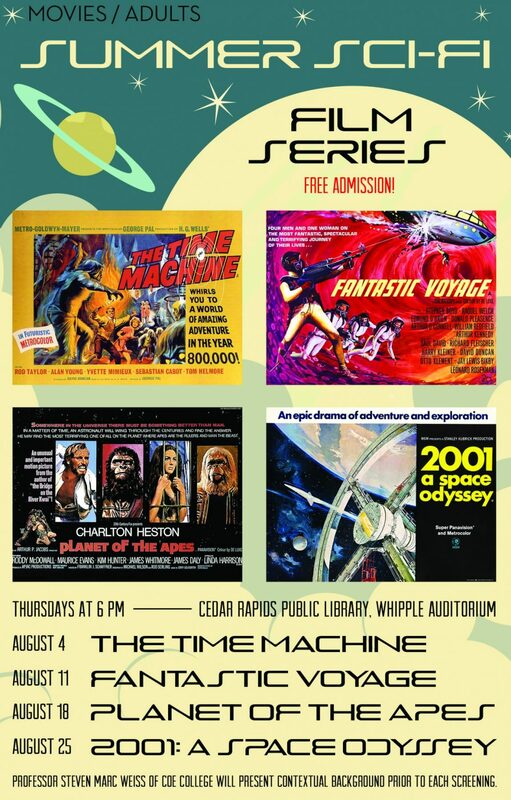 The Cedar Rapids Public Library invites you to cool off from the warm August weather with the Second Annual Summer Sci-Fi Film Series.The free film series, hosted by Steven Marc Weiss, Professor of Theatre Arts at Coe College, will begin with a brief introduction to the films each night. The series will be held in Whipple Auditorium on Thursday evenings throughout the month of August. Each film event will begin at 6:00 pm. 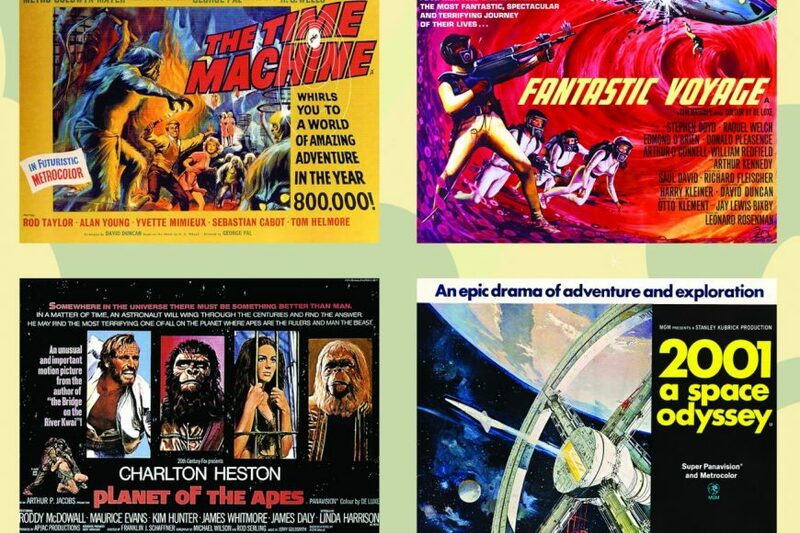 “The exploration of time and space–both outer and inner–form the subject matter of these important films, which bridge the gap between the Golden Age and the resurgence of science fiction that was partly ushered in by the artistic and popular success of Stanley Kubrick’s 2001: A Space Odyssey, with which this series concludes,” said Weiss. Each event is free and open to all. Audience members are encouraged to stop at Greyhound Café on the first floor of the Library and pick up a snack to bring. Food and beverages are welcome.